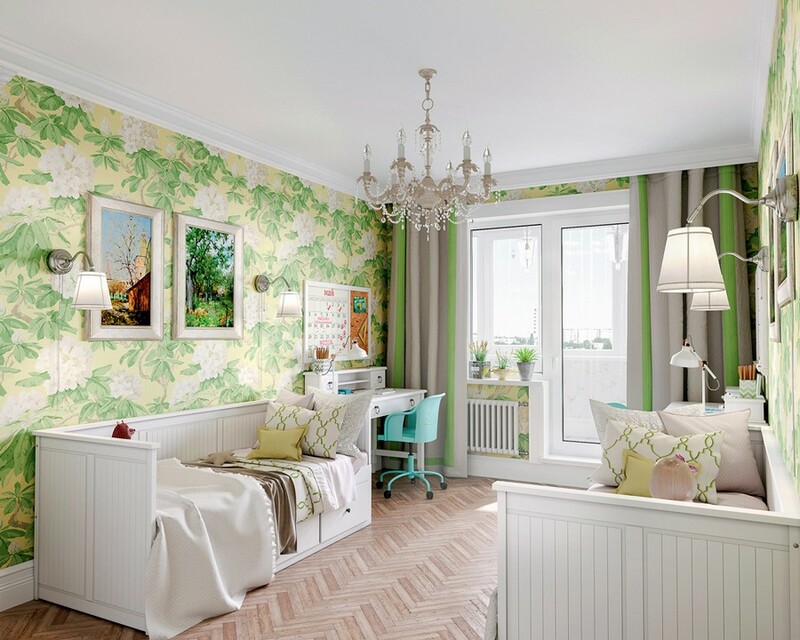 This interior design project was worked out for a young family couple with two small kids. 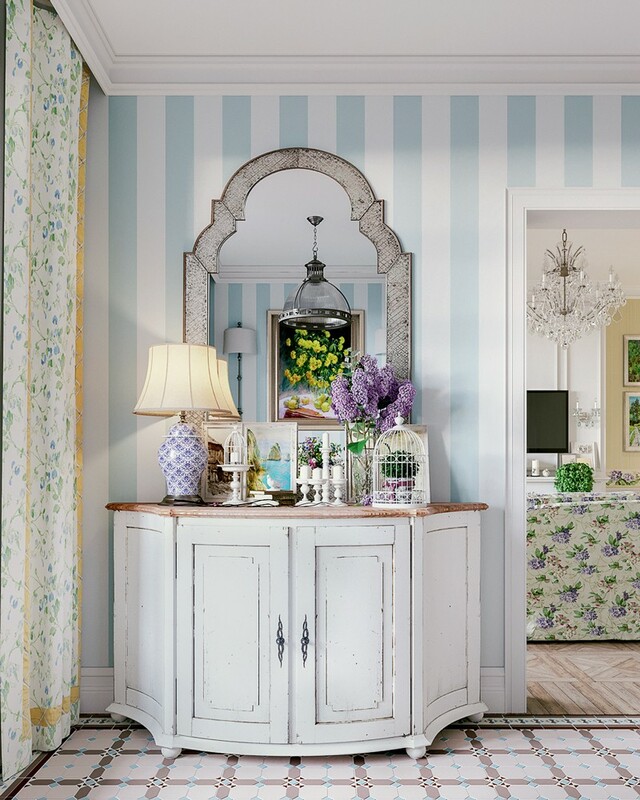 Being devoted fans of cozy and homey Provence-style interiors, the owners wanted their apartment to be filled with light pastel colors, floral motifs, and painted furniture of classical shapes. 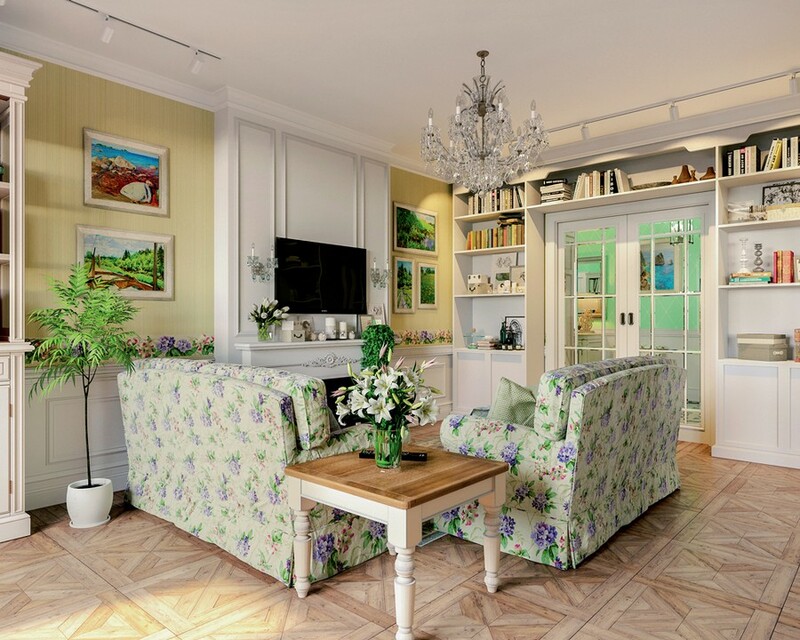 Besides, the clients are fond of painting and reading and frequently invite friends and relatives. That is why a full-fledged dining zone was furnished with a transforming table and the lounge zone – with a couple of folding sofas. The bigger room will become a master bedroom with a walk-in closet and the room with a recessed balcony will be designed for kids. The centerpiece of the lounge is the faux fireplace. 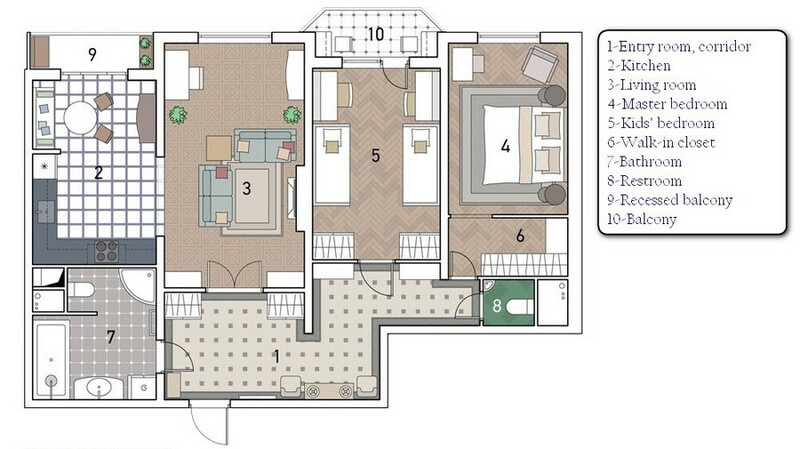 Its surround is supposed to correct visual proportions of the elongated living room. And a corner sitting group will zone the lounge area and visually isolate it from a work corner beside the window. 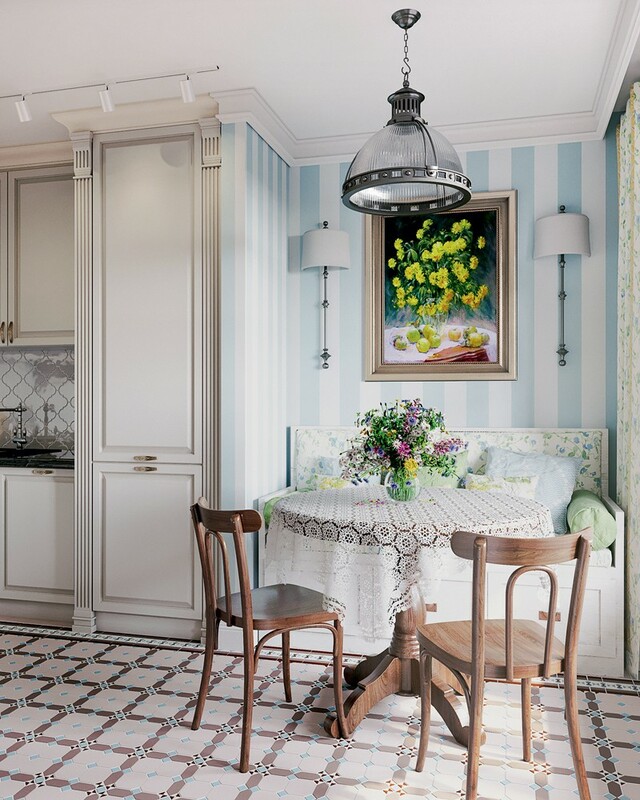 To separate the dining zone from the preparation area, it will be arranged in a small recess, which wouldn’t disrupt insolation of the kitchen. 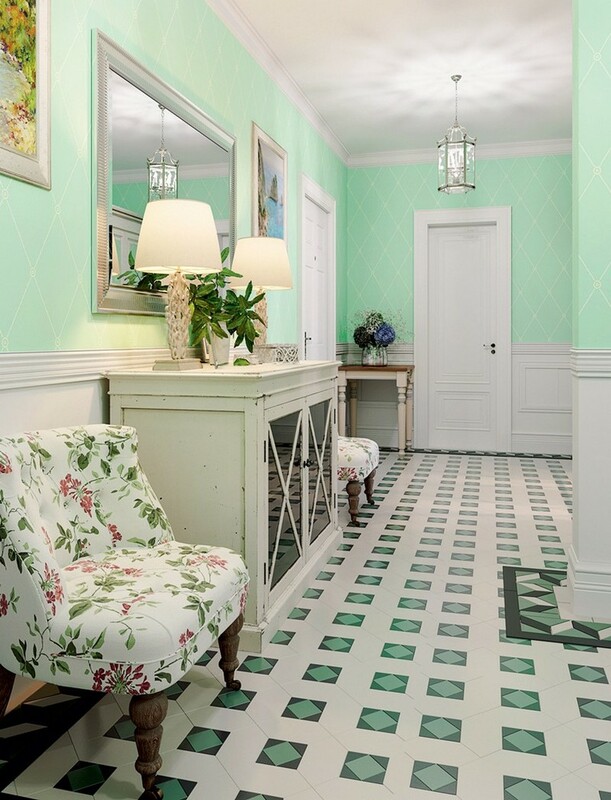 White finishes of kitchen cabinets will be refreshed with wall tiles with geometrical pattern, and stripy wallpaper will optically increase the ceiling height. 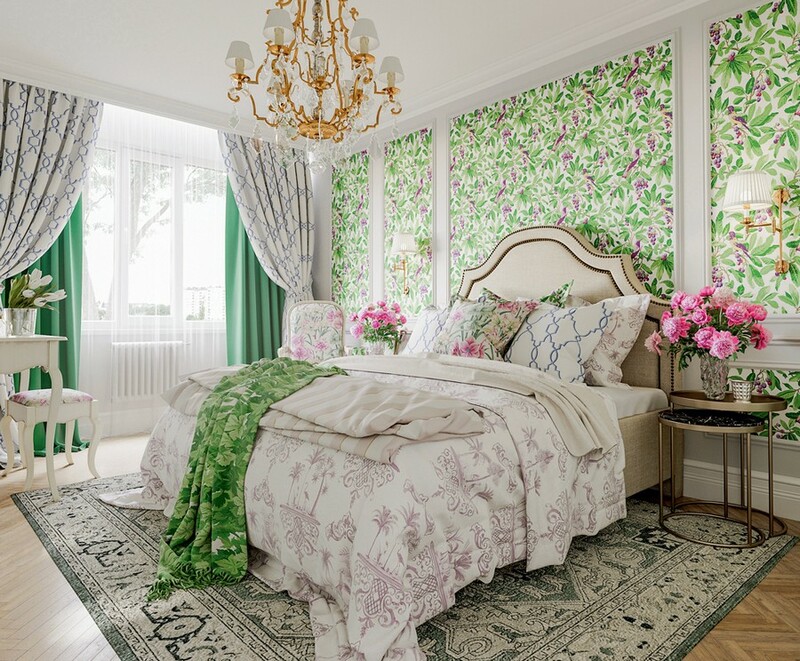 Genuine French interiors can’t do without moldings and in the bedroom they’re applied not just on the ceiling, but also on the walls. Painted white, they will form makeshift “frames” for floral wallpaper. The latter will be complemented by same-style home textile and furniture upholstery. The entry room interior is intended to visually bring the public and private parts of the flat together. Light decorative boiserie panelling is coated with waterproof paint, which proves to be a practical decision for a family with small kids. 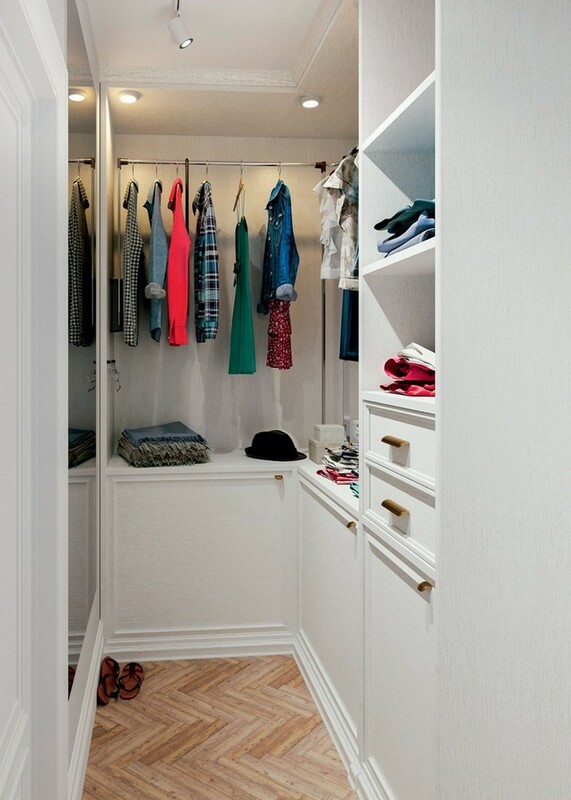 The storage will be organized in a walk-in closet. It will be visually linked to the bedroom interior by means of the same block parquetry. Not to discriminate any of the two kids, their room will be symmetrically furnished by identical pieces of furniture: beds with storage drawers, wardrobes and desks. And unobtrusive greenish and yellow hues will ensure a nice setting for kids’ development. The balcony will be insulated and heated and designed as a reading and creativity corner. 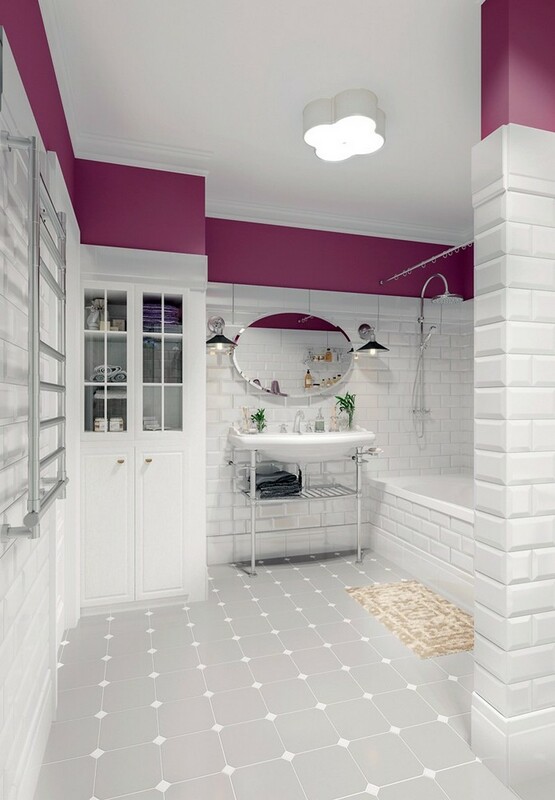 The wet walls of the bathroom will be faced with white ceramic tiles with beveled edges and coated with waterproof purple paint at the top. A washing machine will be concealed inside the cupboard. The restroom will be finished with two types of contrasting tiles. 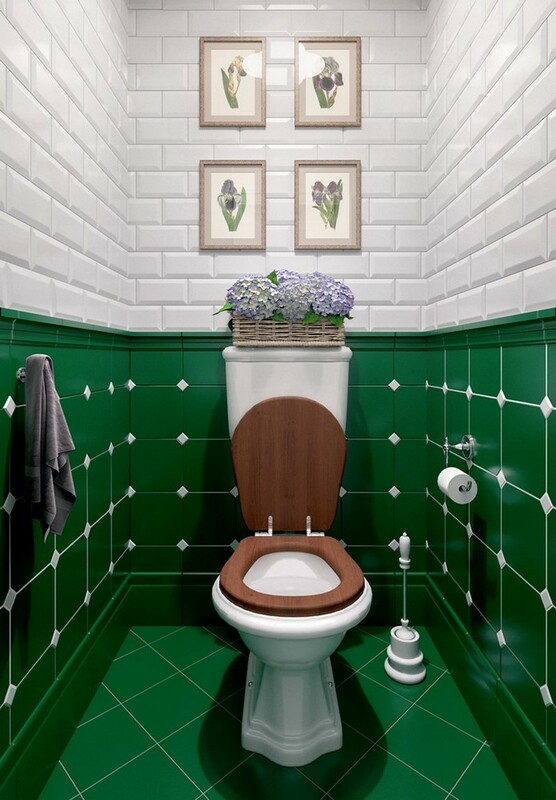 Beveled edges of the white tiles, a faux wooden water-closet seat and a lavender basket will bring notes of French Provence even to this room’s interior.